A pretty nifty new feature was talked about at last night's Android Fireside Chat. In addition to the other O features and the rest of the announcements at I/O, it was revealed that we'll soon be able to update our graphics drivers through the Play Store. This is a feature that is presumably only going to be present in O. There's no word yet on the specifics as to how that might work, or which OEMs or chipset manufacturers might be interested in taking advantage of it, but as of yesterday we know it's coming. There is no word yet on how, exactly, this might manifest itself, but I would be willing to bet that this is a result of Treble and the new focus on modularizing the components of Android. If it is dependent on Treble, then don't expect the feature to come to older phones, since Treble will not be added to older devices that get the upgrade to O. The so-called "vendor implementation" level below the OS framework is supposed to contain device-specific low-level software, like drivers and binaries. If hardware updates can take place through Play, then GPU drivers must either be able to exist outside that layer or that layer is much more modular than I was expecting it to be. 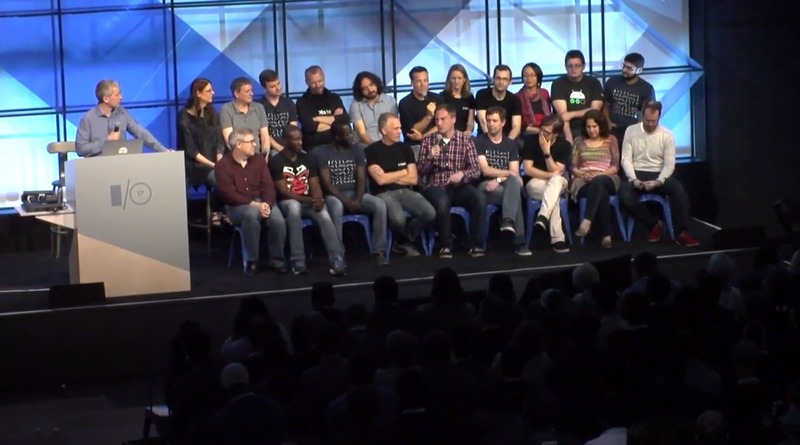 The Fireside Chat didn't go in-depth, but the statement came after a delay when someone asked what may have been missed at this year's I/O, in which Romain Guy later answered, "It's something my team did, I should have thought about it. Updated all graphics drivers. We now, in O, have the ability to update the graphics drivers from the Play Store." It's really only a teaser during a Q/A, but it could end up being a cool feature. Like Romain, I'm surprised it didn't make the cut for any other I/O talks. So now in addition to better forward-compatibility for chipsets (to prevent travesties like no 7.0 Nougat support for the Snapdragon 800/801), we can also look forward to more PC-like hardware updates, at least for GPU binaries. We don't know yet if the updates will be the responsibility of OEMs or chipset manufacturers like Qualcomm, but now we know the method.